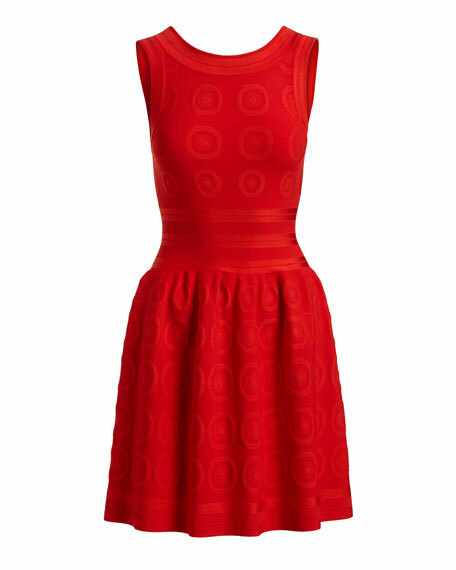 Alaïa dress in tonal circle jacquard. Banded trim with tonal stripes. For in-store inquiries, use sku #2098043.